SBS provide cost-effective janitorial services which reach beyond what normal companies provide. As a business owner, you are well aware how a dirty working environment can affect your company’s performance and credibility. Our staff who have been fully vetted and certified can provide cost-effective janitorial services which reach far beyond the competition. SBS offers many deep cleaning services which can help to reduce sick days for employees who are prone to allergies. When dust is enough of a problem the number of germs and bacteria that can be spread is quite high. SBS can help to reduce sick days for employees who are absent from allergies. Swinton Building Services offer a solution the “Office Cleaning 360’ system” where the best green eco-friendly chemicals are used and tested as none toxic and safe for any surface. 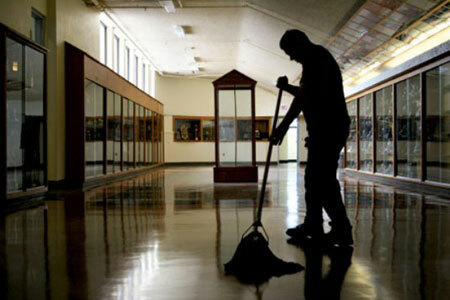 FREE Video viewing of Janitorial Cleaning hiring process. Our janitorial cleaning teams are expertly trained in all aspects of Janitorial Cleaning which allows us to be affordable, trustworthy and reliable. SBS have many packages of janitorial cleaning and over 28 years built a portfolio of 1000’s of customers. In this time, we have cleaned many thousands of facilities which are left in safe and healthy conditions. These methods are shown to kill 99% of germs on all surfaces and our staff is fully trained in all aspects of using these chemicals to prevent any contamination to your products or employees. Commercial Cleaning, Commercial Restaurant Cleaning, Industrial Cleaning, Construction Cleaning, Carpet Cleaning, Carpet Care, Window Cleaning Services in Edmonton AB, Janitorial, Wall Washing, Skylight Cleaning.